Ada pertanyaan untuk WH Ming Hotel Shanghai @ Huangxing Park? Baik Anda turis maupun dalam perjalanan bisnis, WH Ming Hotel Shanghai @ Huangxing Park adalah pilihan akomodasi yang tepat ketika mengunjungi Shanghai. Terletak hanya 12.00 Km dari pusat kota, para tamu berada di tempat strategis untuk menikmati obyek wisata dan aktivitas di kota ini. Hotel modern ini terletak di sekitar obyek wisata populer kota ini seperti Yangpu Park bird and flower Market, HaiShang CaiZhi ShangWu ZhongXin GuangChang, Museum Percetakan. Fasilitas dan pelayanan yang ditawarkan oleh WH Ming Hotel Shanghai @ Huangxing Park menjaminkan pengalaman menginap yang menyenangkan bagi para tamu. Untuk kenyamanan para tamu, hotel ini menawarkan layanan kamar 24 jam, WiFi gratis di semua kamar, resepsionis 24 jam, fasilitas untuk tamu dengan kebutuhan khusus, penyimpanan barang. Semua akomodasi tamu dilengkapi dengan fasilitas yang telah dirancang dengan baik demi menjaga kenyamanan. Hotel ini menawarkan fasilitas fantastis, termasuk hot tub, pusat kebugaran, sauna, lapangan golf (sekitar 3 km), kolam renang dalam ruangan, untuk membantu Anda bersantai setelah sepanjang hari beraktivitas di kota. 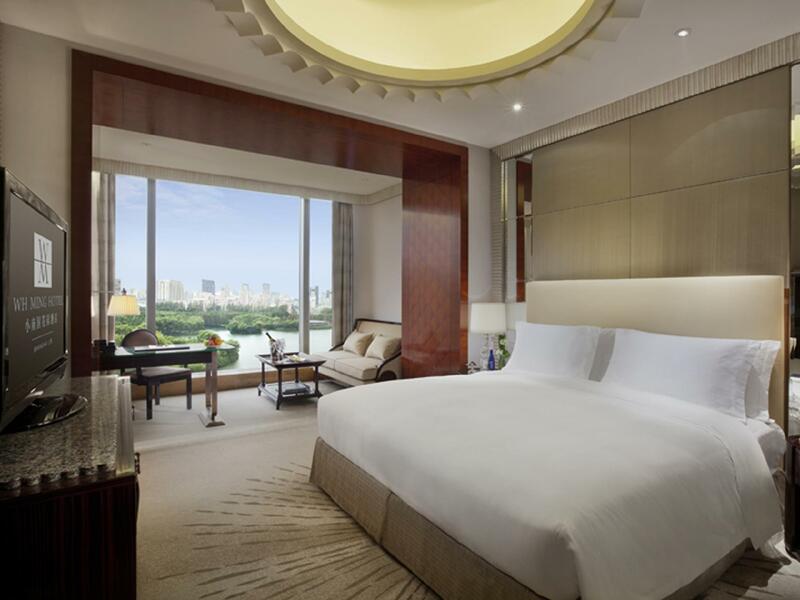 WH Ming Hotel Shanghai @ Huangxing Park adalah tempat menginap ideal bagi para wisatawan yang mencari pesona dan kenyamanan dari Shanghai. great hotel , nice settings and near to a beautiful park. good for people who wish to be a bit away from the town centre. accessible to Wujiaochang and Daxue Road . 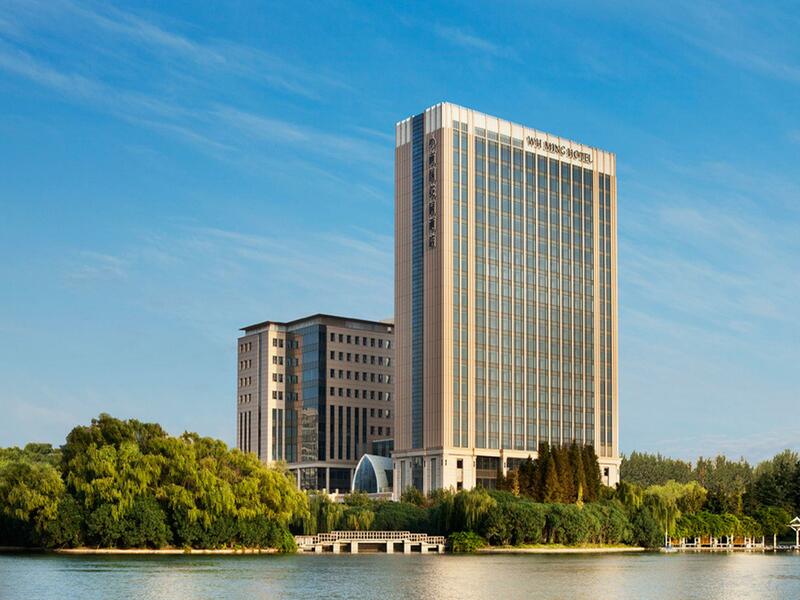 The spa is indicated as part of the hotel facilities but using the spa requires additional 288 RMB just for entrance. The staff kept giving wrong information, offered 20% for using spa and massage service and 2 days later, another staff refused to provide discount. The AC in the room can be noisy at night and the pool has some strange smell. Overall, both the facility and the service are far from 5 star standards. a bit far from downtown but it was good for during holiday to get away from hustle and bustle of the city. Wonderful stay. Second time staying here. Gd location. Woke up to a giant lake in front of my room. Perfect! Average. Have been staying here for about a year now and clearly, the quality is slipping. Its firstly in a poor location, logistically, but right next to a beautiful park, which is nice. However, the staff hardly speak much english, hard to order room service and the bathrooms are not well cleaned. The air conditioning has always been a problem and the rooms face west and so they remain pretty warm during the summer. The saving grace for this hotel is the view of the lake. Good view of the Lake and the garden downstairs, has a decent restaurant, although the quality of food can be improved upon. Staff dont speak much english. But nice hotel. Not close to anything and so not convenient. This is my third time staying at this hotel. The staffs are nice and helpful. The room was very spacious, clean and comfortable. From the time I get into the room, the light is on.It is a good feeling and I enjoy it very much.The environment is so good that you can see the park all the time and most surprise is that yo can see the DongFangMingzhu at day and night.All in all,it is a good experience for me. The hotel was very new, with big big rooms, and family friendly. My 3 yr old enjoyed the swimming pool and the in-room sweets very much. There's also a park right next door, so it was a great location for a morning walk. Buffet breakfast was good, had many choices and the food quality was up to standard. I guess the best thing with this hotel is it's price! So cheap!